Air soft guns and accessories. BB. High Quality 6mm Pellet. 1000pcs. 1ct. .. Grenade Dispenser 800 Shot 6mm BB. 2ct. 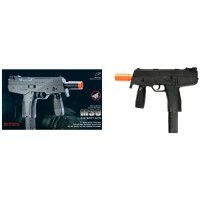 ..
Air Sport 2025 1/1 Scale Airsoft Gun. 1ct. ..
Air Soft Gun K-66. 1ct. ..
UKARMS M30 Spring Pistol Airsoft Gun. 1ct. 250 fps 0.75 lbs gun net weight 10" overall l..
UKARMS P661 Spring Pistol Airsoft Gun. 1ct. Spring Pistol 8.25 overall length ..